The Disneyland Half Marathon weekend culminated on Sunday morning with a 13.1 mile run through the theme parks and on the streets of Anaheim. Being on my feet non-stop for the two days prior left me pretty blistered and tired, but I woke up easily to get the half completed. On the way to Disney property, Karen and I met up with a good friend and former coworker who now resides in Los Angeles. 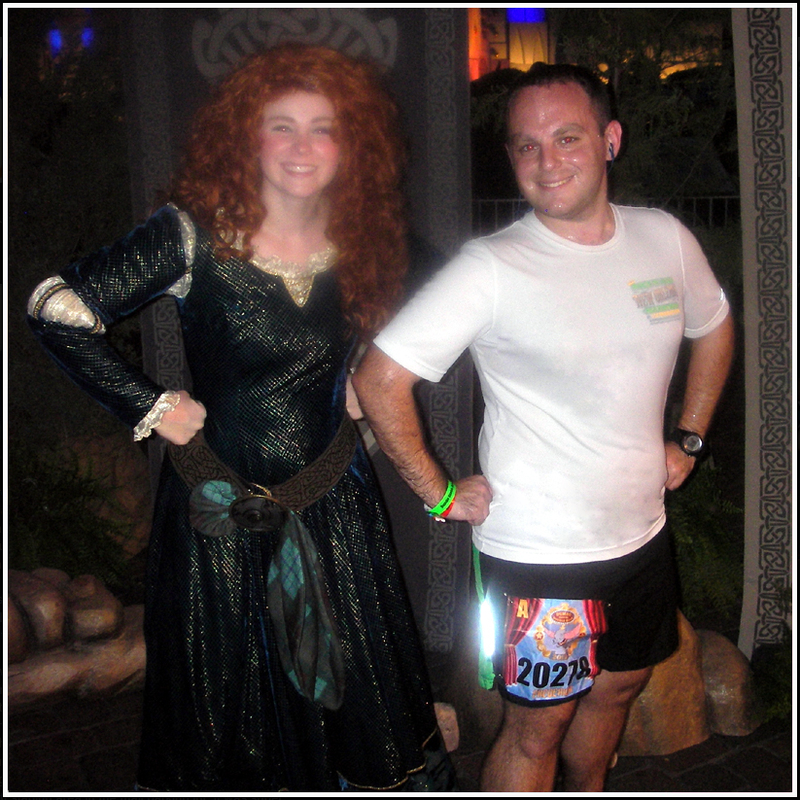 Brittany was running her first runDisney race, and it was awesome to give her the lowdown on the day's events while catching up with her and devising a game plan for the run. With Karen wanting to run at her own pace, Brittany and I decided to stick together as long as possible, but knew splitting up would be inevitable. 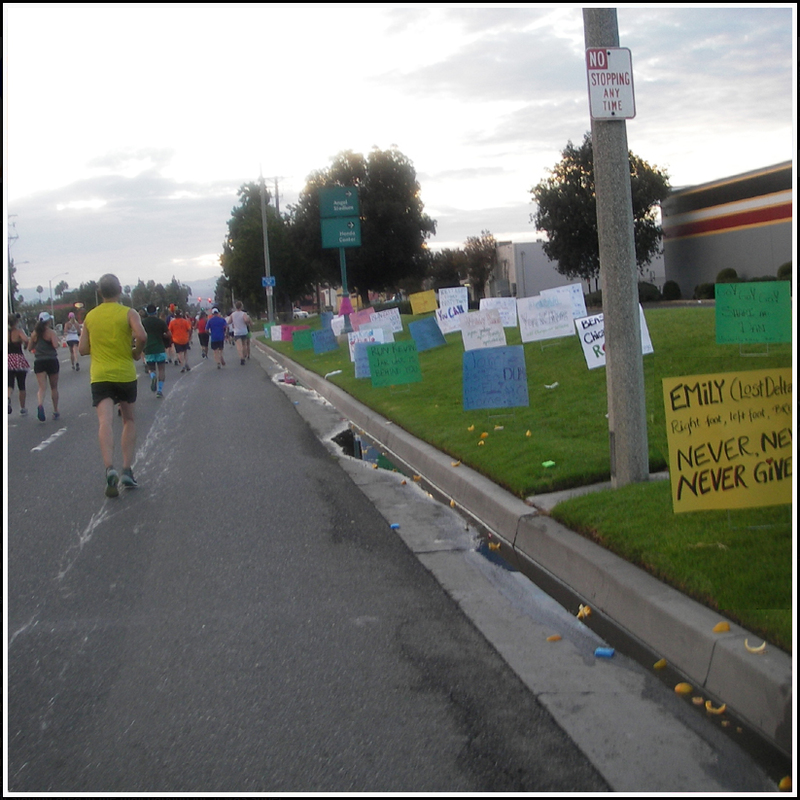 The starting gun fired at 5:30am, and being in Corral A allowed for both Brittany and me to go off with the first wave of runners. Our first two miles clocked in around 9:30 miles, because even in corral A there was a lot of weaving to be done to get around crowds of people in front of us. At the first water station on the backside of California Adventure I slowed for water, and Brittany continued on with a hydration belt firmly around her waist. I decided to enjoy the parks and make up some time after exiting back on to the streets of reality. 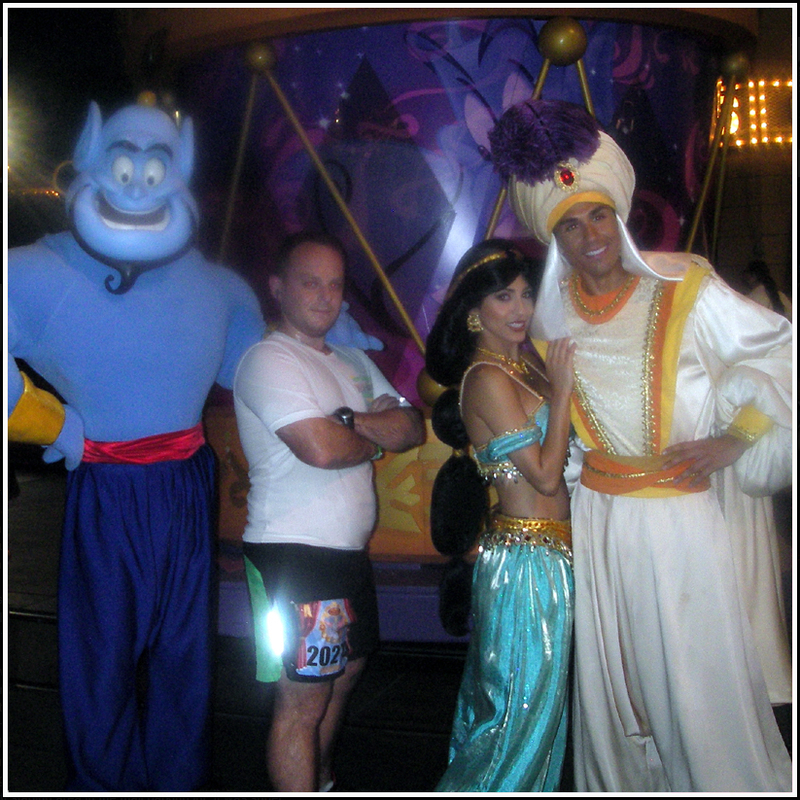 There were several photo stops in the parks that I skipped because I had tackled those characters the day before (Cars, Monsters University, etc), but knew Aladdin, Jasmine and the Genie were a must when entering Disneyland. The princesses in Fantasyland were also a must stop photo opp before running through the back lot and out on to the highway. After exiting the park, there is an overpass that runners cross to continue with the race. The incline and decline are lined with cheerleaders and a water station that made me completely forget that I have no hill work in my training regimen. 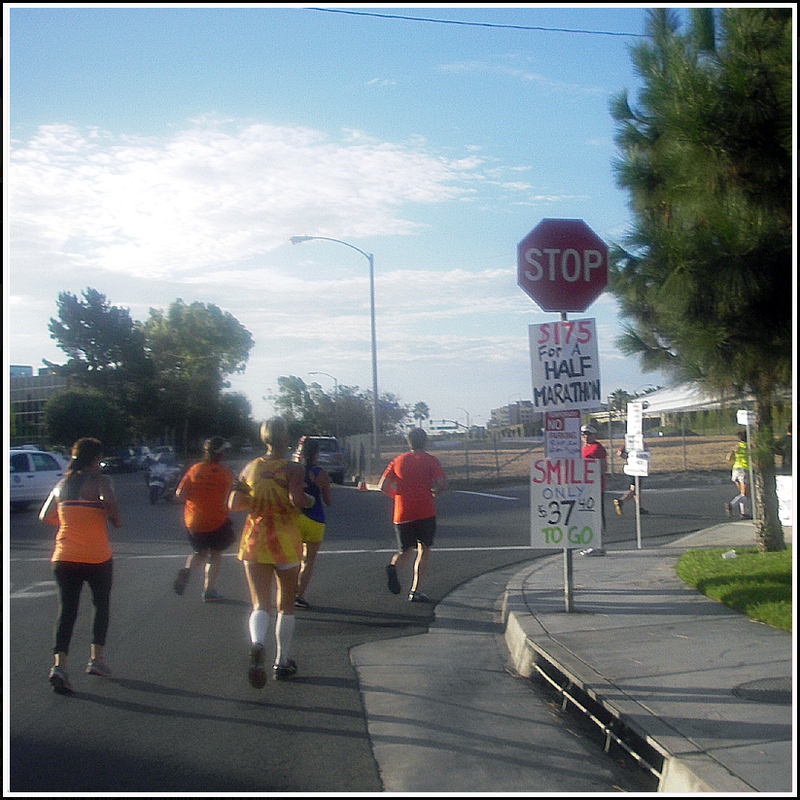 After this stop at mile 4, the route is basically an out and back with a slight turn or two thrown in. The entertainment on-course is spectacular. Unlike the Walt Disneyworld Marathon, there were no character sightings outside the parks; however, there are dance groups, cheerleaders, and marching bands throughout. 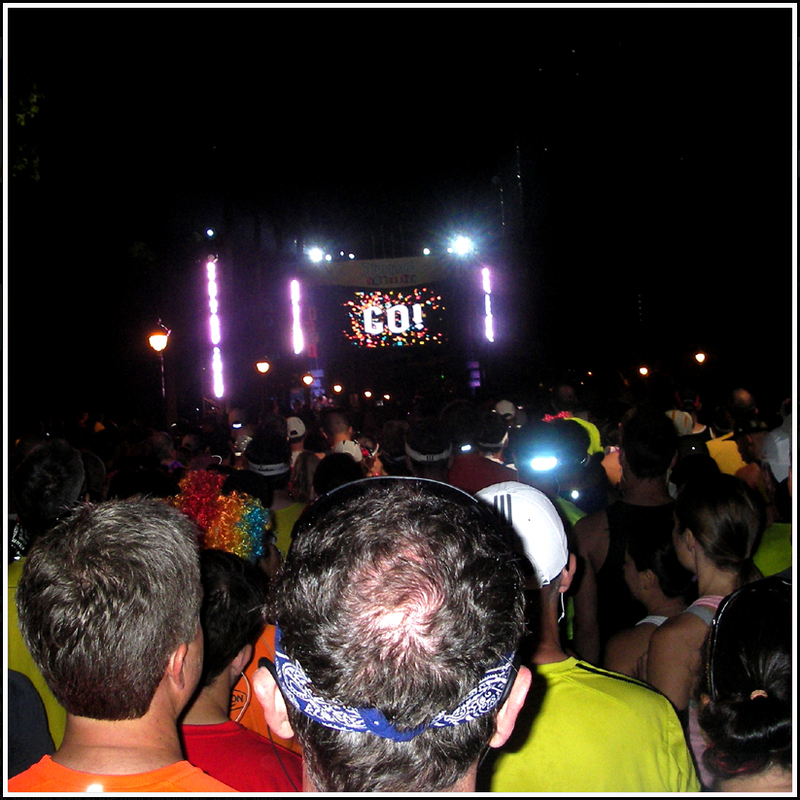 The race was basically the inverse of a Mardi Gras parade, I had to run to the next band instead of them coming to me! 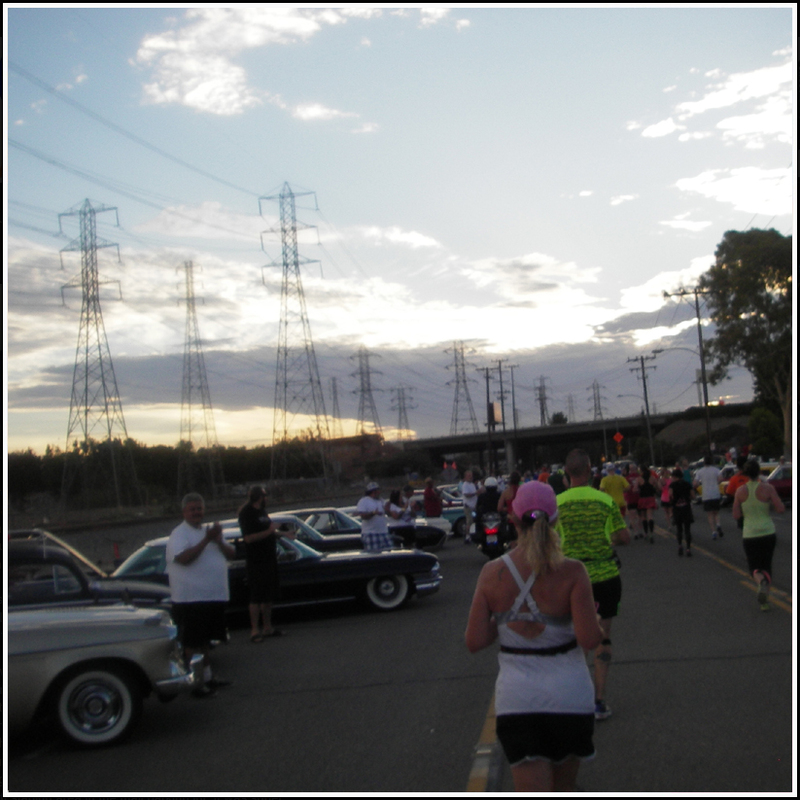 Mile 7 of the course is almost an entire mile of classic cars. There must have been hundreds of cars of every make and model lining the course with the owners out in lawn chairs cheering runners on. I fully expected to see the Brady Bunch jump out of a sedan with wood paneling, or hear the Partridge Family singing in a classic VW bus. 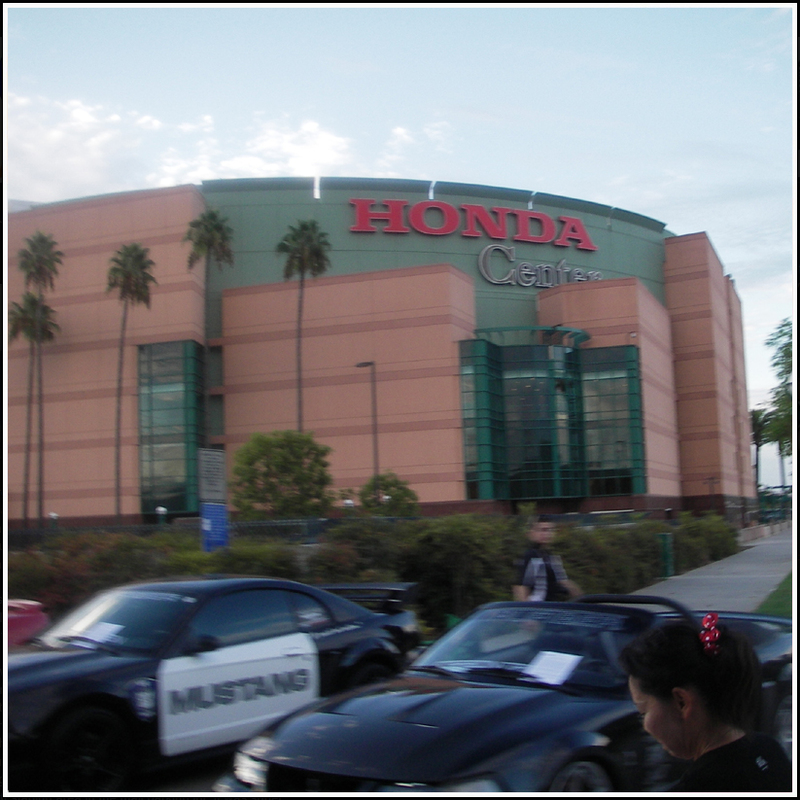 Mile 8 had an approach to the Honda Center where the Anaheim Mighty Ducks play. Behind the arena was a gravel path along a dried up river bed that runners followed. While on this track, I got my first glimpse of Angels Stadium and the giant A standing tall outside. While taking a photo of the stadium in the distance, I spotted Brittany on course. She was trucking along, but while I was catching a second wind, she was getting zapped by the brutal heat and humidity that the area was experiencing. I had never been so grateful for summer training runs in Louisiana! Brittany and I ran together for a short distance through a Cliff nutrition stop, but got separated before entering the stadium where thousands of spectators waited to cheer runners on. 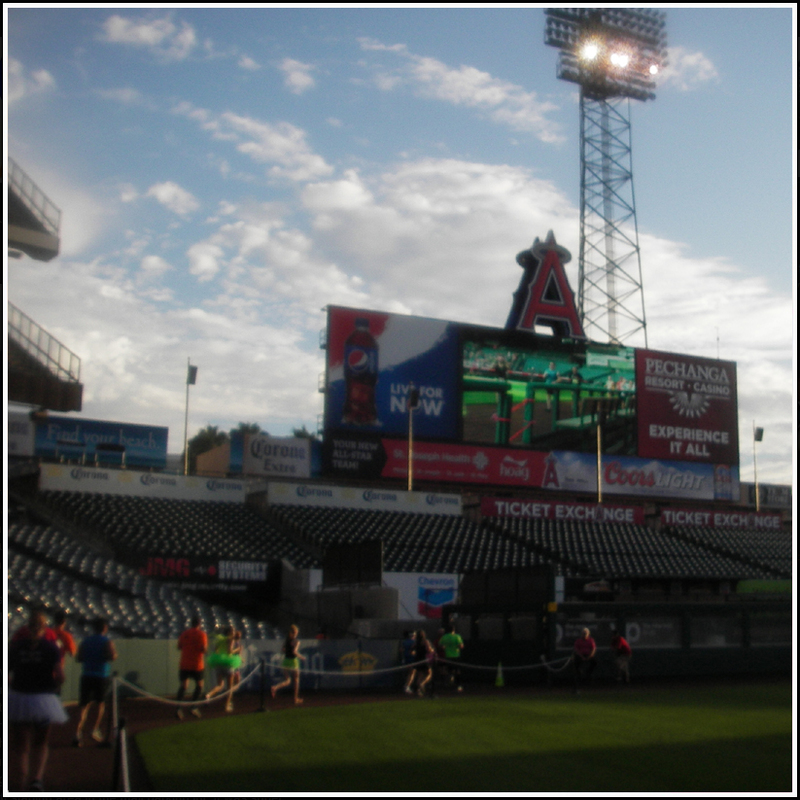 The stadium was loud, but a booming voice was crystal clear as the stadium's announcer welcomed runners by name as they ran around the diamond's warning track. The scene was completed with video of participants on the jumbotron as they passed a camera next to the field. 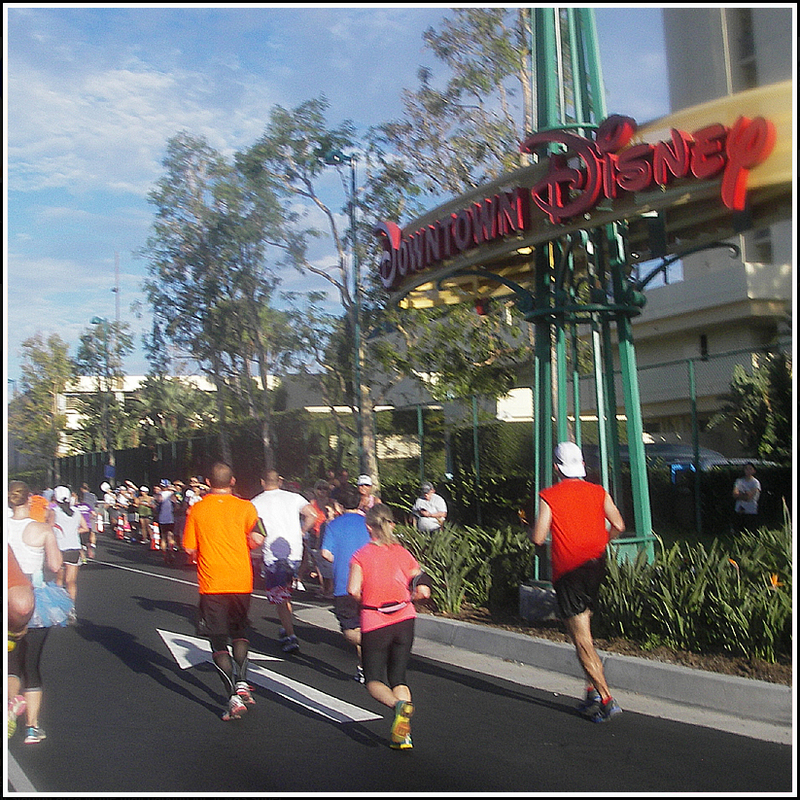 After leaving Angels Stadium, runners take a straight shot back to Disneyland, in through a back gate and through Downtown Disney to the finish line. 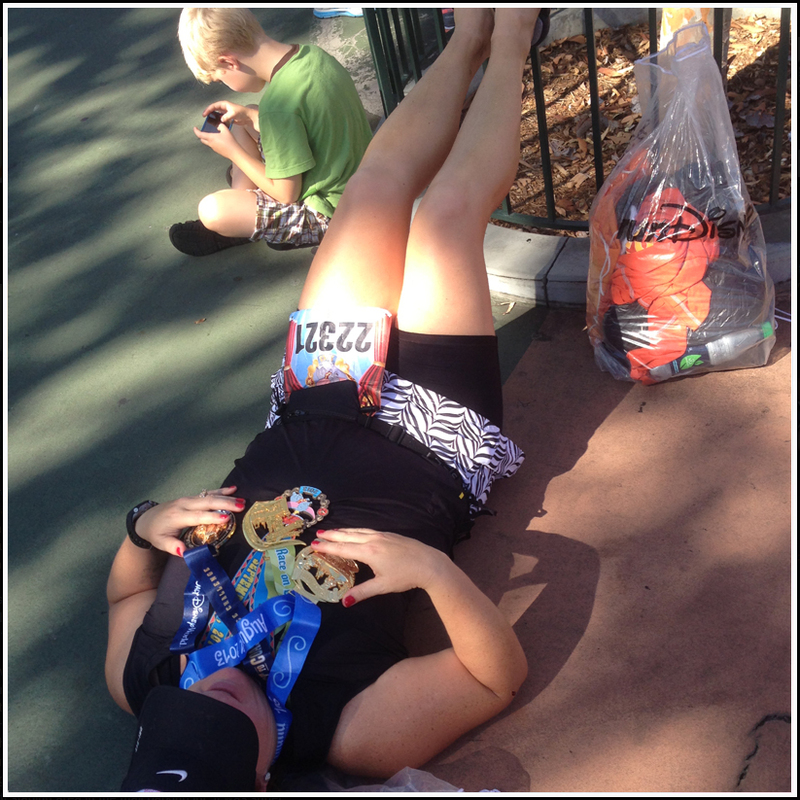 After crossing, I grabbed my multiple runDisney medals. Not only did I get the half marathon medal, but I had earned the Dumbo Double Dare bling for completing both the 10K and the half. I also scored a Coast to Coast medal for finishing the Walt Disney World Marathon and Disneyland Half in the same calendar year. 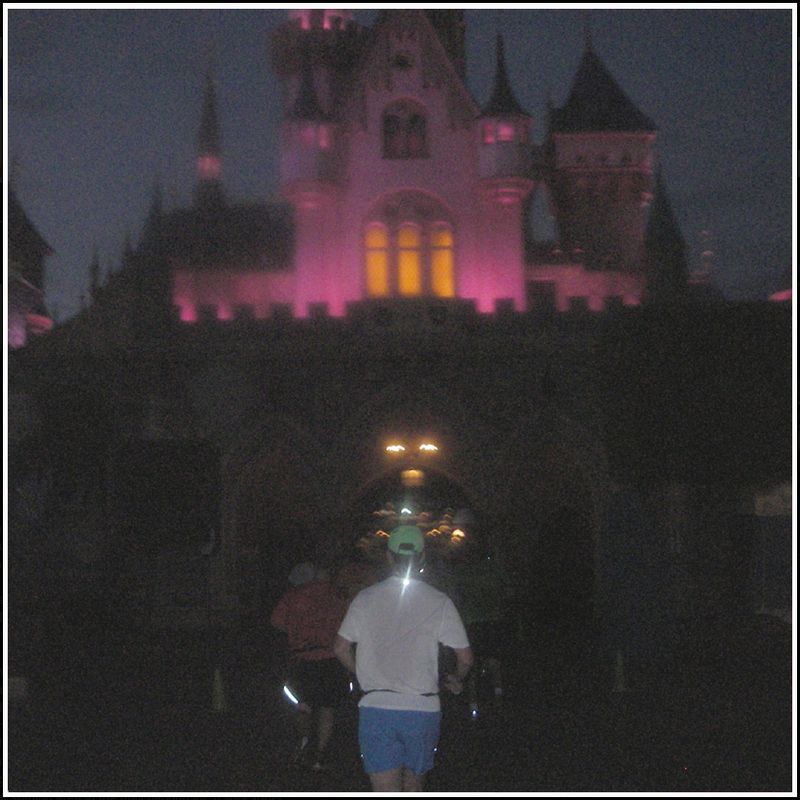 The runDisney hardware is certainly a great reward for a race well run. 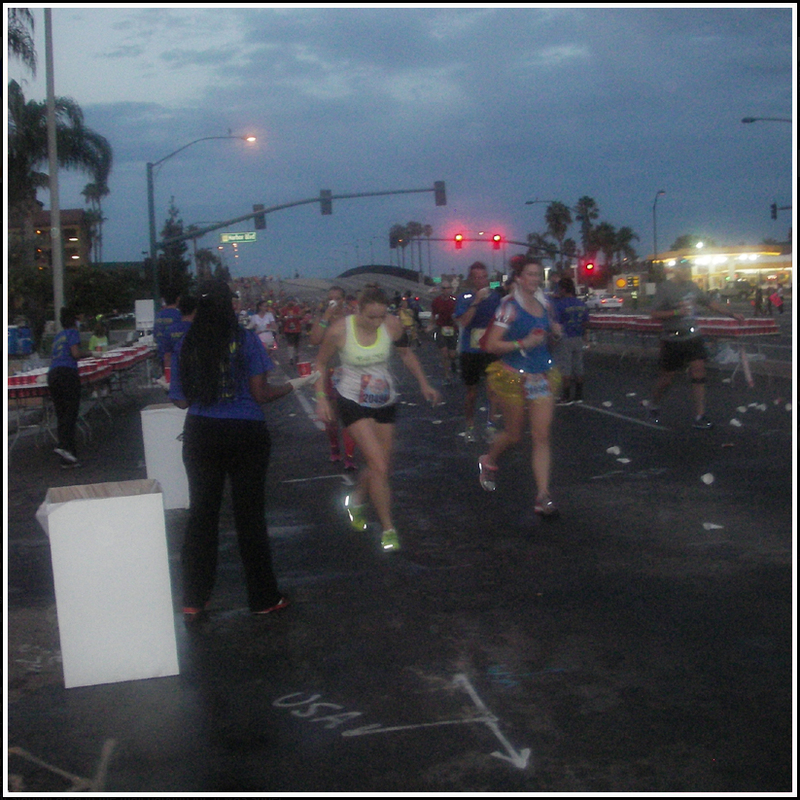 I waited a couple minutes for Brittany to finish, and had a chance to snap a few photos before parting ways. I then changed in to flip-flops (bad idea to walk back to the hotel), and found a spot on-course to cheer on Karen before her finish. I would have missed Karen if she hadn't stopped and bent over right in front of me to pick up a cell phone that a spectator had dropped on to the course. 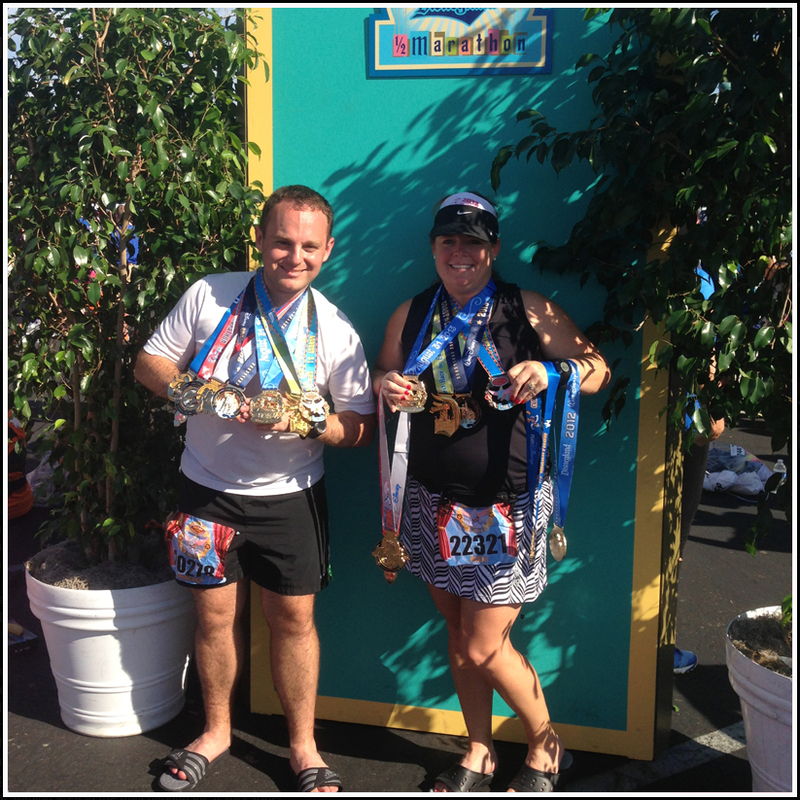 We reunited just past baggage claim, took a few more photos with all of our runDisney medals from 2013 (she and I ran in Orlando together), and fled the scene of the race to shower and get ready for lunch. 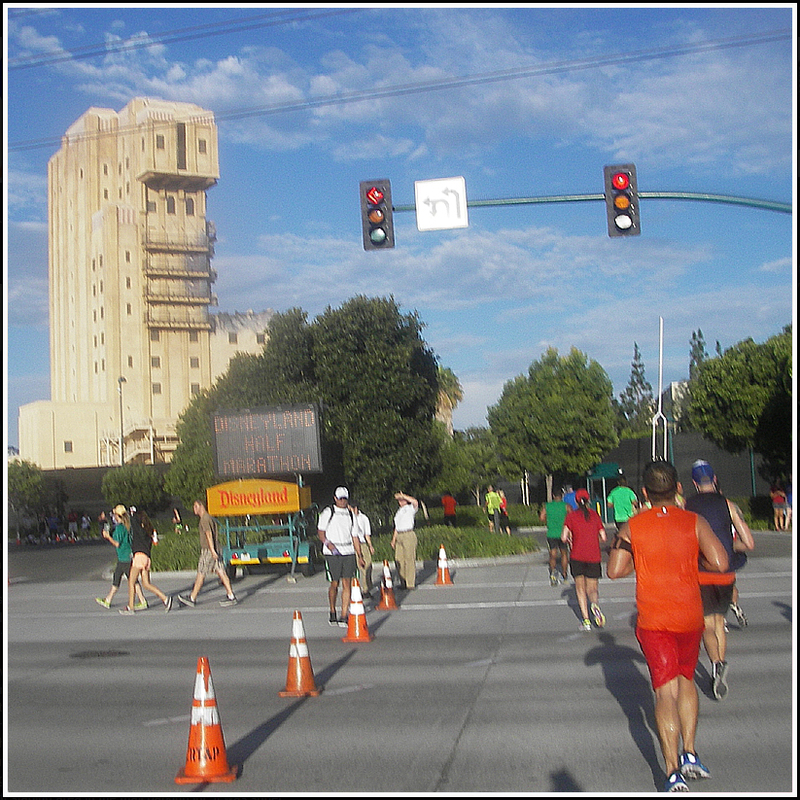 Many participants comment that they wish more of the course was in the parks, and wondered why the 10K had so much distance in California Adventure while the half marathon did not. 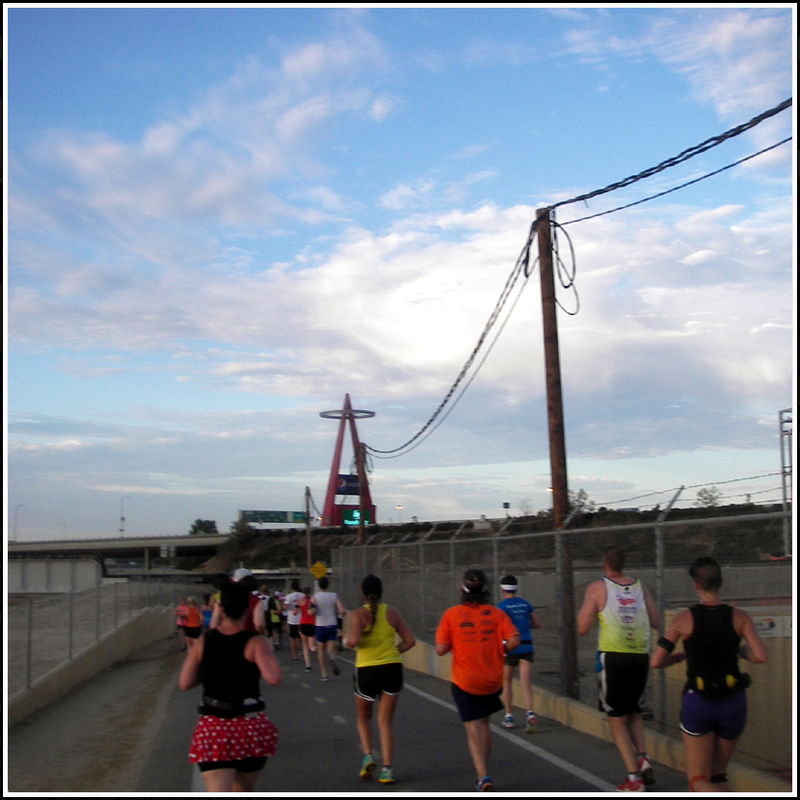 Simply put, it's either more time running in the parks or getting to see Angel's Stadium. 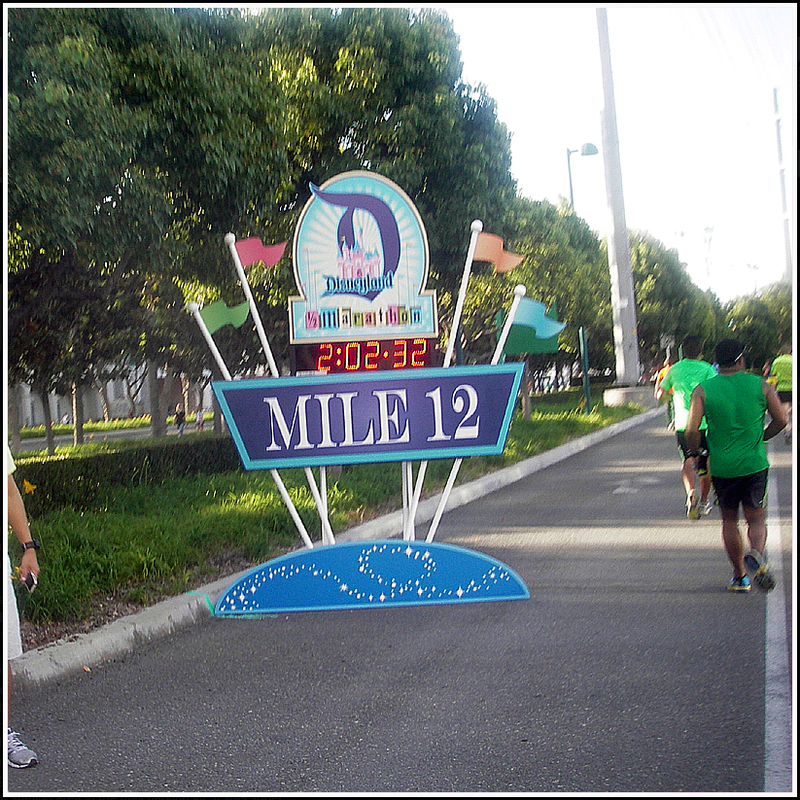 As the furthest point from the finish line, the stadium wouldn't be reachable if there were any more miles within the parks' confines. 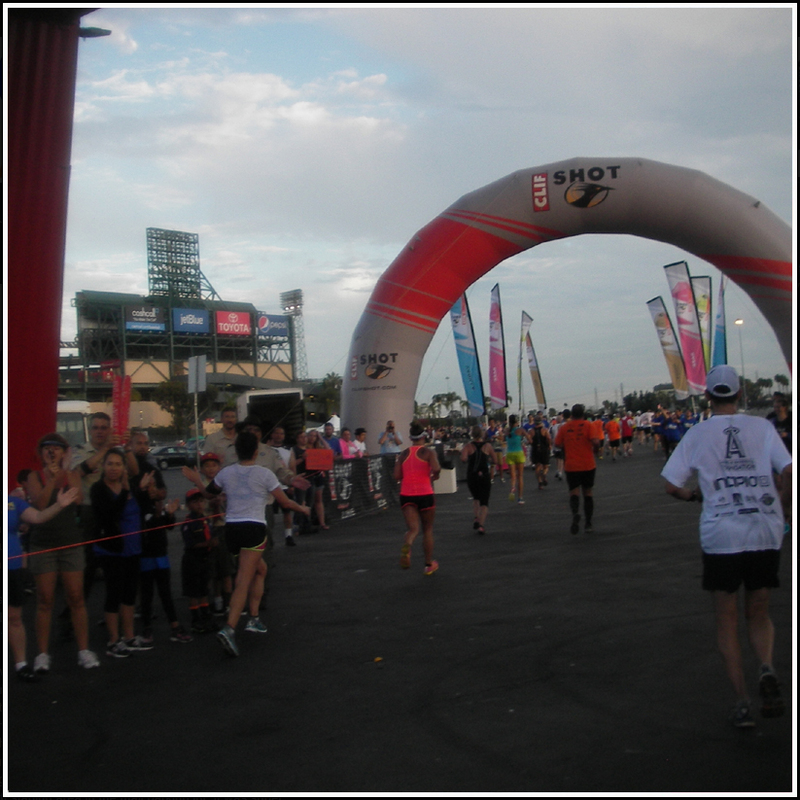 I personally am thrilled that I got to visit the baseball stadium and thought the portion of the course was a highlight of the run. 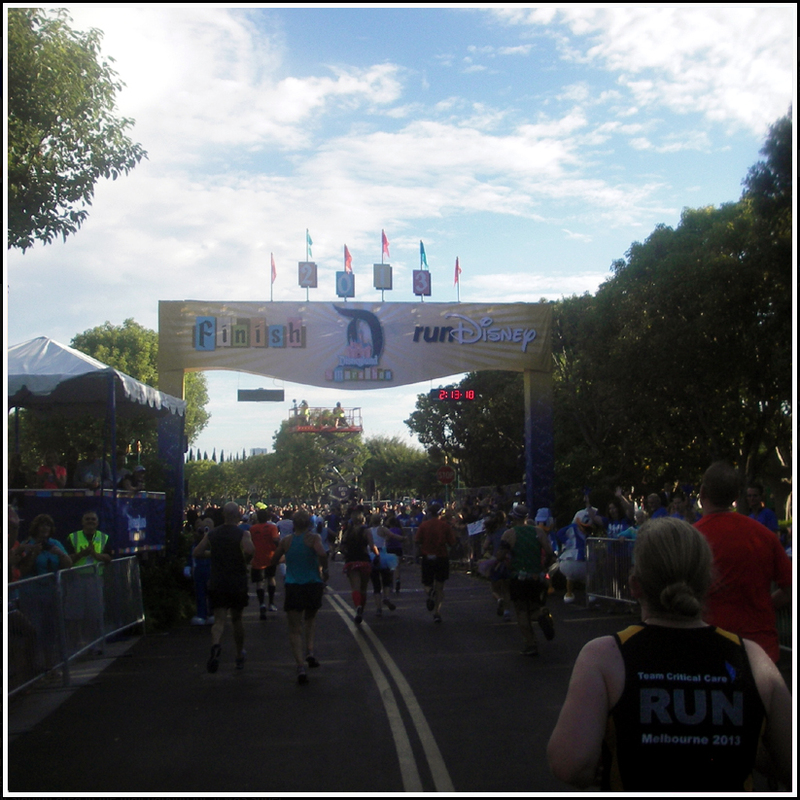 The runDisney team did another amazing job at putting on a race for the 2013 Disneyland Half Marathon. Before heading to California, I had joked that this race would be a one-and-done for me. Now having completed the event, I am seriously contemplating wanting to go back soon. If Karen has her way, 2014 may be a repeat. 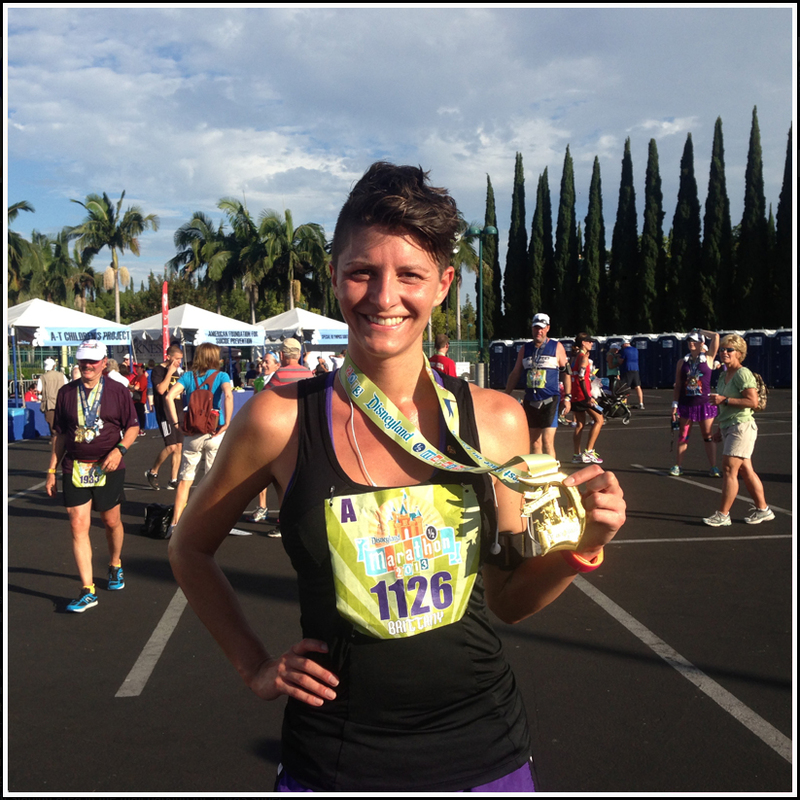 "Before heading to California, I had joked that this race would be a one-and-done for me. 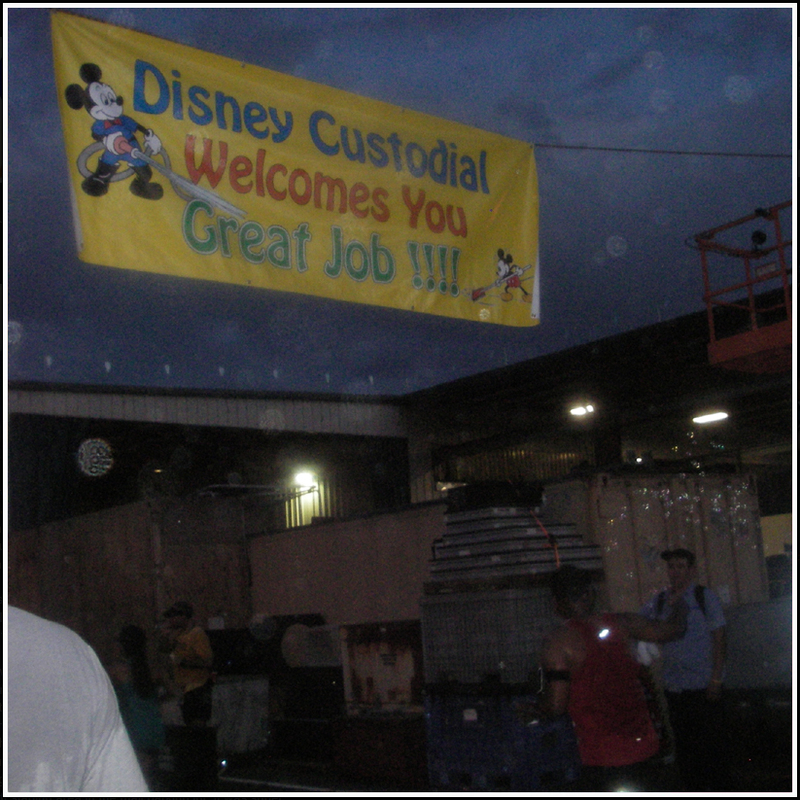 Now having completed the event, I am seriously contemplating wanting to go back soon." Awesome! It is in writing. I am already planning to register to race again in 2014. I said I am contemplating it, not etching it in stone Karen! 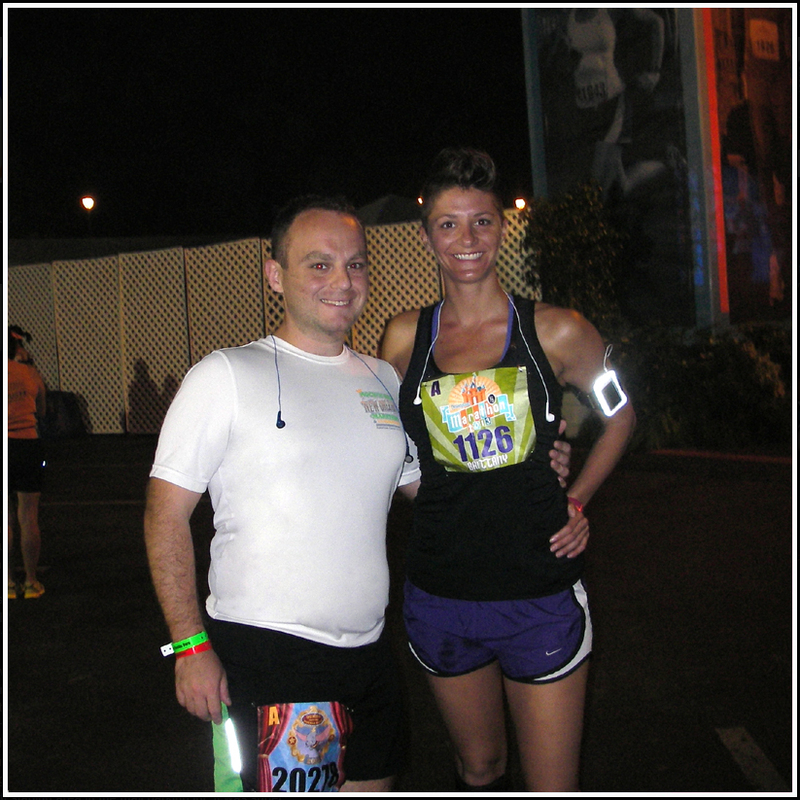 I really want to do the Tower of Terror 10 Miler in 2014. We'll have to see what a year from now brings!